Melanie Carter from Lucky Paperie sent me a sweet email today to share her letterpress studio. Lovely work, great color sense and typography. I loved the variety of styles she shows. See the invitation portfolio here. 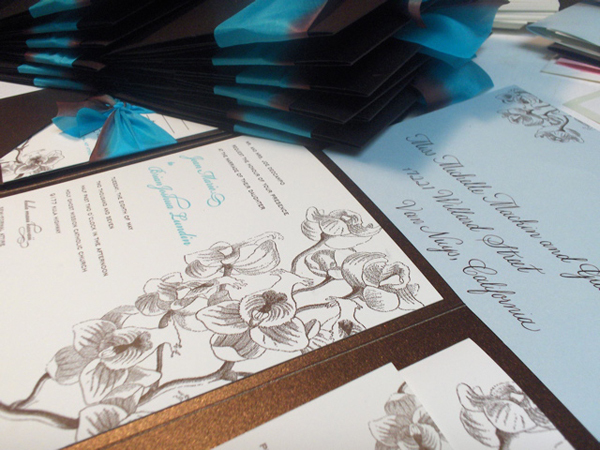 The Jeannie invitation. Sets start at $800 for offset printing and $1,200 for letterpress printing. these are so pretty! what a great find! i love the colors and fonts – everything! I love this design! thanks for the info I cant wait to visit the store and see for myself.